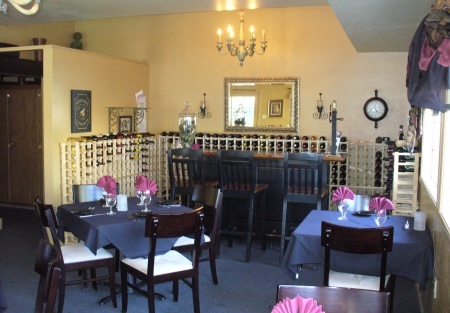 Selling Restaurants presents this beautiful Italian restaurant-It was remodeled less than a year ago! Located in the beautiful Sierra foothills just off a highway 49 close to some of the most expensive real estate in the area! The owner spent considerable time and resources rebuilding the inside of this restaurant, and now needs sell due to family matters - you can benefit from their hard work!! The lease is only $1,350 a month Yes, I said $1,350. Includes a cozy outdoor dining area with a giant Redwood tree in the corner. Current owner has stated she could stay on as cook for new owners if they so desire and it makes sense to. Please select one of the bright orange buttons below to get the name and address of the restaurant. If you're not a registered buyer, it will ask you to register. It costs you nothing! And you'll get placed on our e-mail list getting first look at our newest listings.